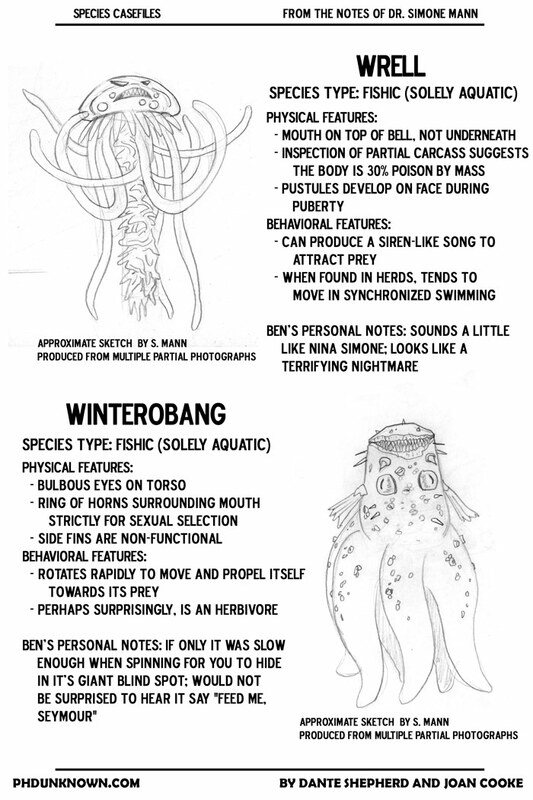 So we have a new plan between chapters, to highlight some of the species that our team of intrepid science heroes have been studying and discovering. This should help us work out some time on designing new characters and species, and help to flesh out more of the world in which PhD Unknown takes place! So, on Halloween, here are some frightful specices that hopefully will give you nightmares later tonight, if we've done our job right. Thanks as always to our Patreon patrons who keep PhD Unknown running! If you like the site too and aren't a supporter, perhaps considering becoming one? It means a lot!